One shop closes, another opens! As from 31st December 2013 we will stop selling Toy Theatre material via our website through the post. Already we have sold the last of our theatre sets A, B and C. Instead we will launch a new free service whereby you will be able to download and print off all our material, including Skelt reprints, at any time for free. This should be the best available free on-line resource of the British Toy Theatre! We will sell off our old printed stock via ebay, where you will be able to use PayPal, and at special events. Toy Theatre is over Two Hundred years old! 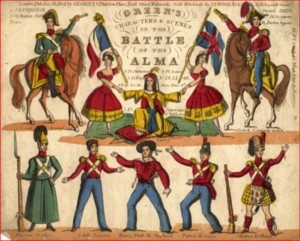 Early in 1811 William West, a London print seller, published a sheet showing eight characters from the popular pantomime, “Harlequin and Mother Goose”. The print was in the style of children’s lottery prints, each figure being drawn inside a box with a caption underneath. It is now believed that the plate was engraved for William West by John Green who later claimed to have been “The original inventor”. Green did not draw the figures but copied them from various sources. The publication appears to have been an outstanding success, 5000 copies were sold immediately. West followed this with the publication of similar souvenir sheets in two or three plates covering at least 21 other plays during 1811. The “box” style was quickly abandoned. West was not alone. Two lady print sellers, Mrs. Jameson of Duke’s Court off Bow Street and Mrs.Hebberd of Marylebone each published similar souvenir sheets during 1811. In all we know of 35 publications that year covering 30 separate play titles. A year later stage fronts, wooden stages and scenery made their appearance and the Toy Theatre, as we know it, began. The events of 1811 were however the origin. 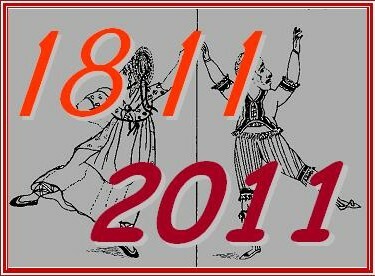 Here are copies of typical 1811 sheets for you to download. “Harlequin and Mother Goose” is the original sheet engraved by Green and published by West. It is the “missing link” between children’ lottery prints and the Toy Theatre. “Council of Ten” is an example of one of the earliest West publications. 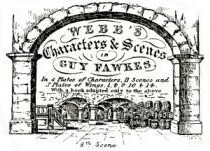 It shows the principal characters in that play, which was also known as the, “Lake of the Grotto,” performed on and around the water tank at the Sadlers Wells Theatre. Notice that two characters appear to float on small rafts! The two sheets of this play were copied and republished by George Skelt and these are reproduced here. The latest in our series of information sheets (No.4) gives details about the publications of J.K.Green. There is a list of all his plays showing how many plates of characters, scenes, wings etc., a list of the wings series with descriptions and other details. It is something of great use to collectors and we are the only people publishing this type of list. Hugo Brown, who is a descendent of Mr.Green himself, has provided much of the information and checked it. We are very grateful to him. The document can be downloaded here Green. If one reads the “classic” histories of the Toy Theatre one gets the impression that although the Pollock business survived into modern times, all that had gone before was irretrievably lost. Plates had been broken up and other material had been destroyed. Then in the 1980s a man walked into Pollock’s Toy Museum and announced that he was a descendant of the Webb family, not only that but the family still had all the plates, original drawings and much other material from that great Toy Theatre publishing house and its predecessors! Sadly this material was put up for sale in 1994 and most went to the USA. Fortunately the family had produced a detailed inventory that revealed for the first time the treasures it contained, including material from Skelt and other earlier publishers and proofs for lots of plays that were never published. The Webb Archive is now housed at the Cotsen Children’s Library at Princeton University, New Jersey. The Library has decided to make the collection easily accessible and as a part of this, Laurie Webb, the great grandson of William Webb, the original publisher, has travelled to the USA this year to assist in cataloguing. What would one give to go back to one of the old London Toy Theatre shops and meet the publishers at work! Now thanks to long forgotten newsreels and their availability through the internet one can do that, at least in a passive role! The oldest, “Penny Plain – Twopence Coloured” , made by Gaumont in the 1920s, shows Benjamin Pollock at work in his Hoxton shop. He prints a block of four sheets, colours them using templates, cuts them out and performs them on one of his Toy Theatres with the help of his daughter Louisa. The other two are by Pathe. “Tinsel Pictures” shows the publisher H.J. Webb making tinsel portraits, an art form of which he was the recognised master. This was made in 1932. Perhaps the best however is the film “Model theatre” made in 1944 in those fragile end of war years just before Pollock’s shop was closed and it was virtually destroyed by a flying bomb. 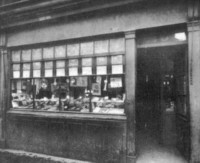 Passers by, including woman with a pram and a rather official looking gentleman chat with Louisa Pollock at the doorway of the shop. Two precocious looking schoolboys show an unbelievable interest in the antique prints and theatres on display in the window. Louisa and her sister Selina are then seen colouring and setting up a play to perform. Ignoring the rather sad commentary added by Pathe that talks about two old ladies in an unknown run down shop cutting up paper dolls, this film is delightful! To see and possibly purchase copies of these films use a search engine on the internet. Direct links are not given here in case they change.